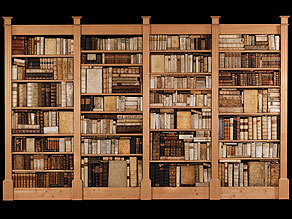 A decorative library containing 603 volumes mostly bound in vellum with some books in blindstamped pigskin and some in gilt calf. 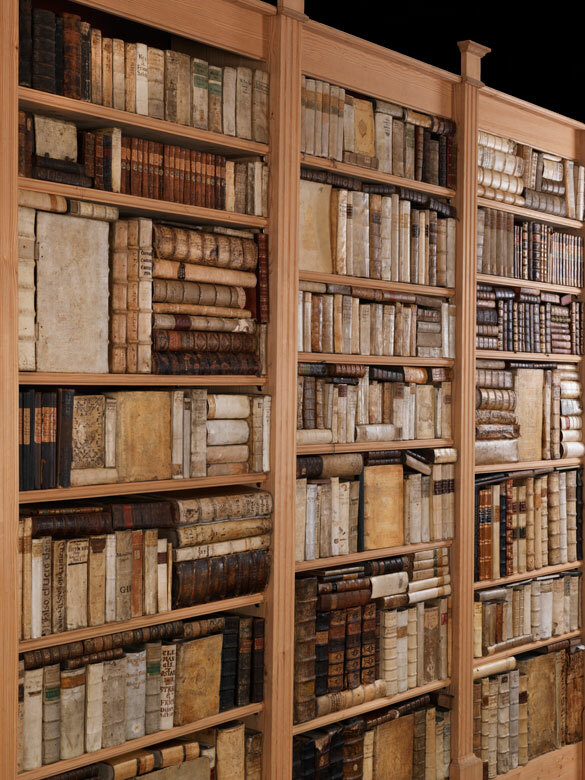 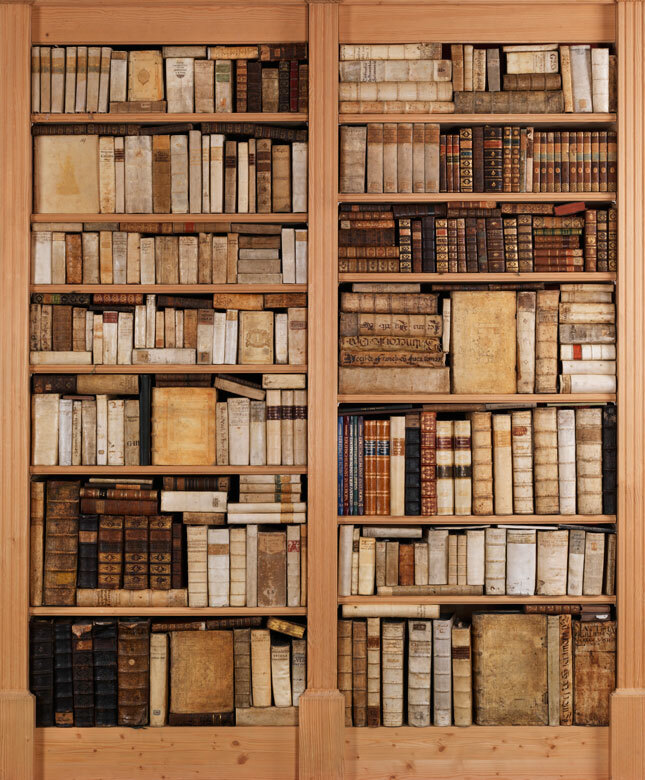 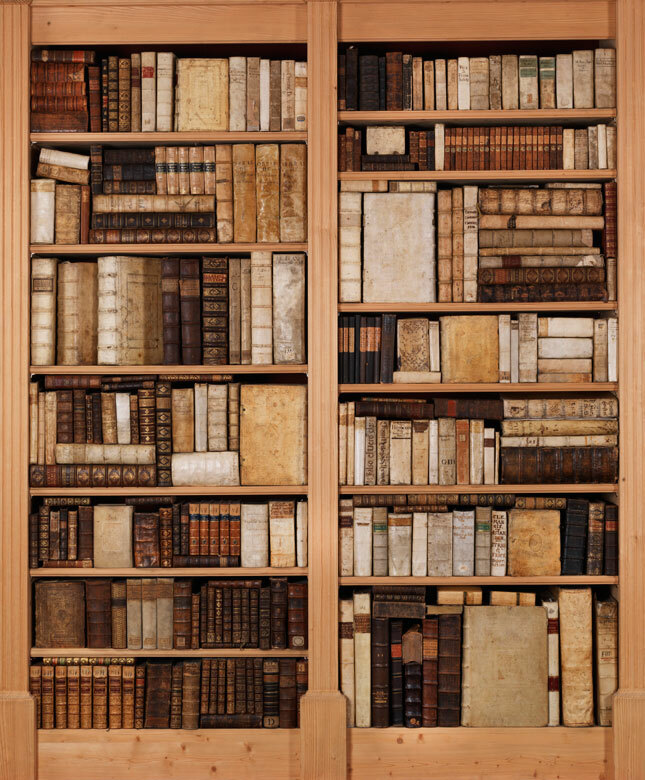 Most books are from the 18th century, some are newer, some go back to the 17th century. 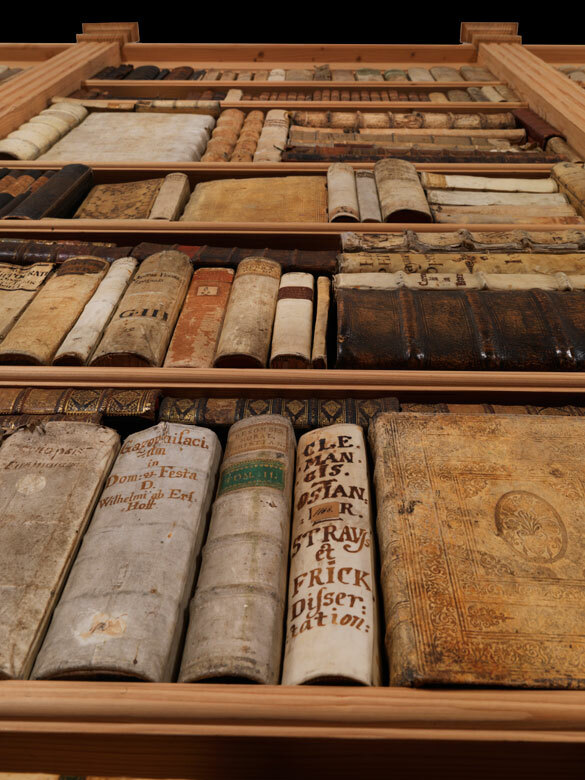 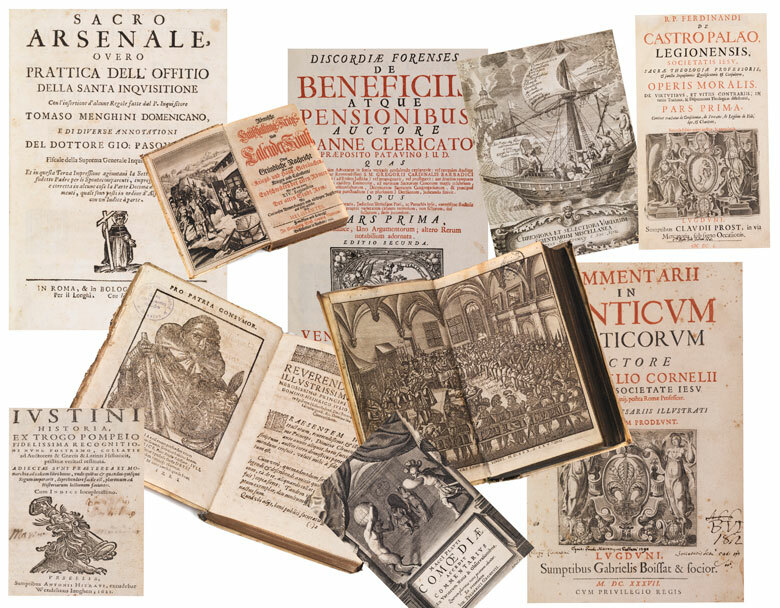 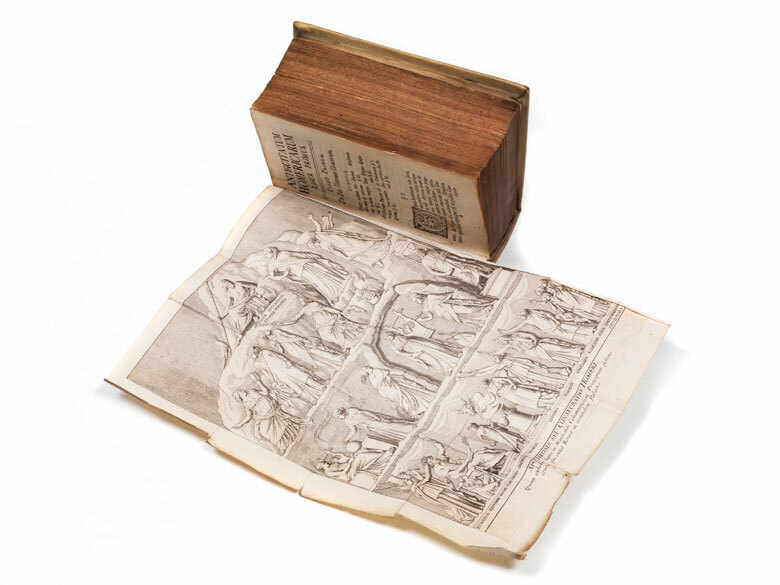 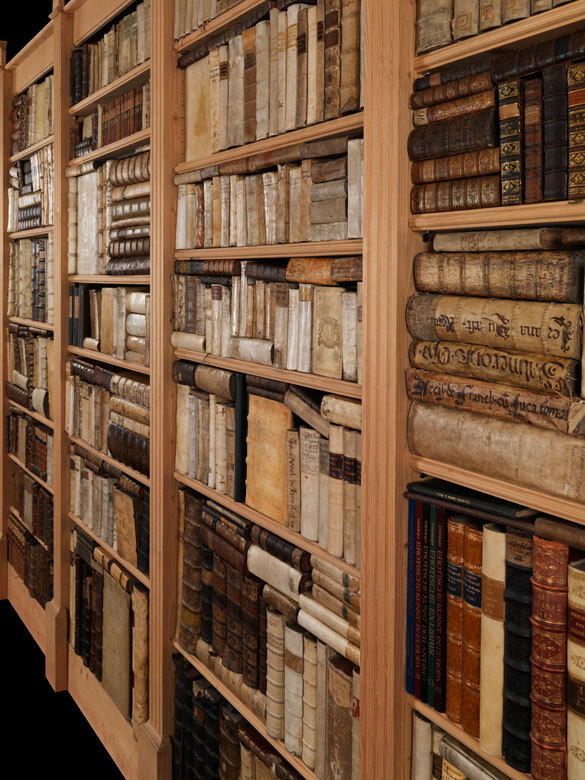 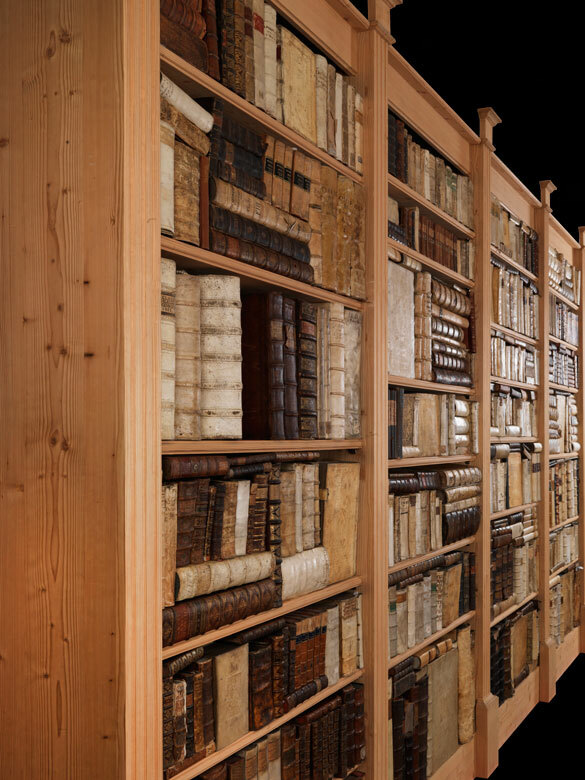 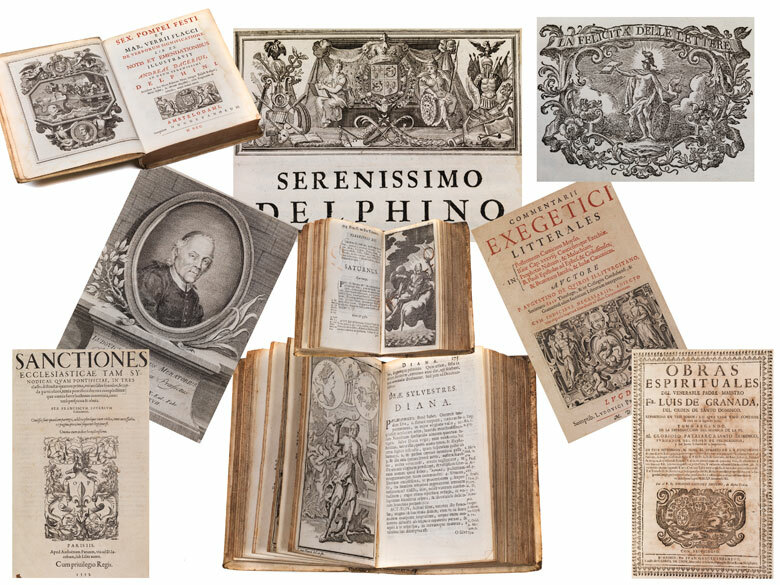 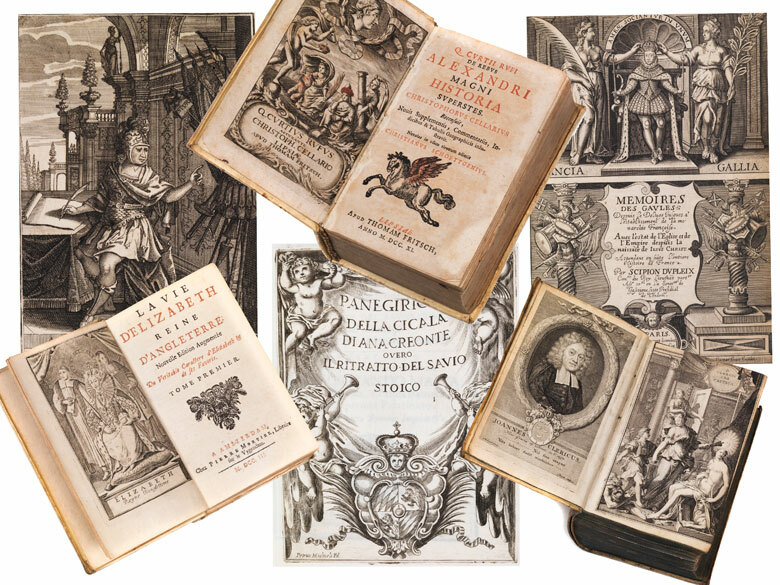 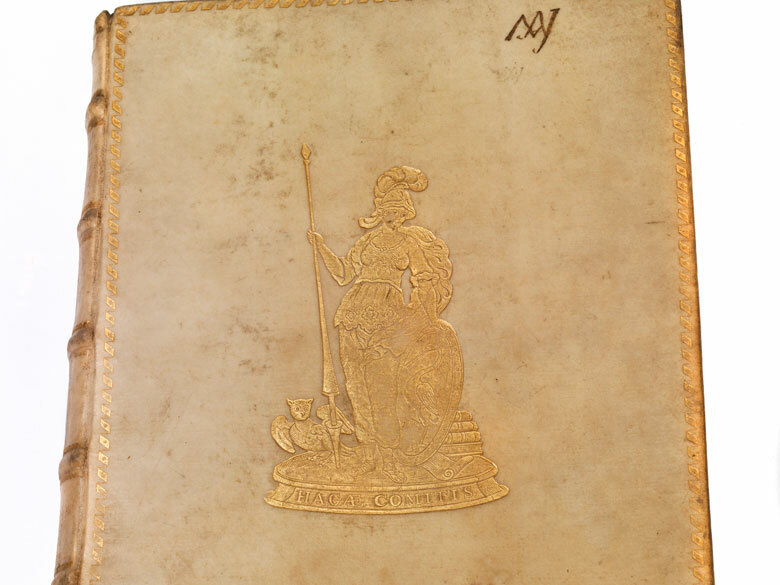 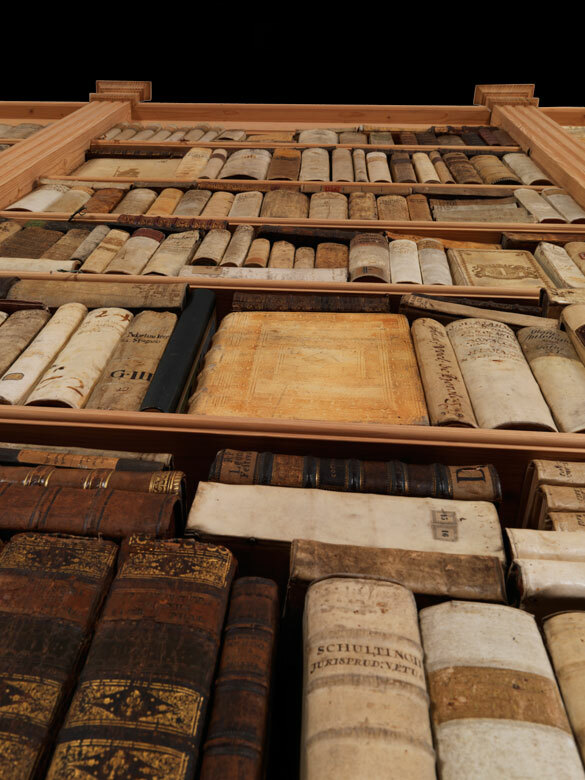 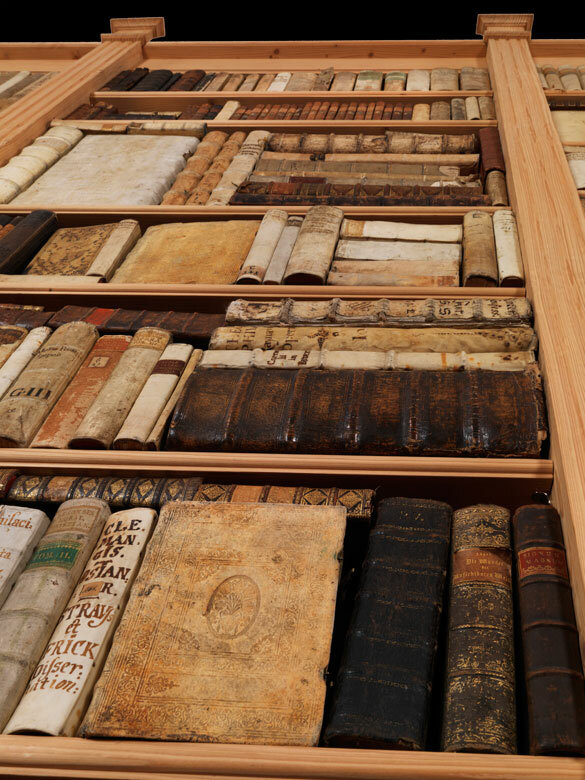 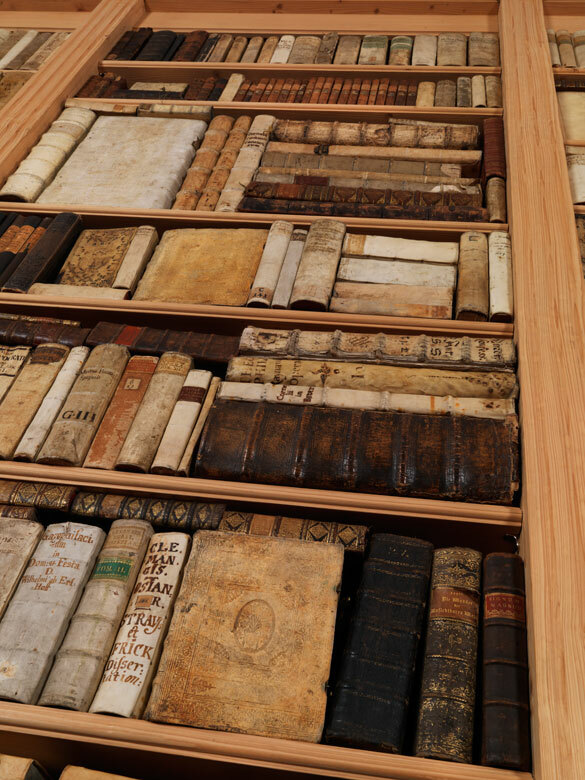 The library consists mostly of decorative volumes that do not contain major editions or complete sets. 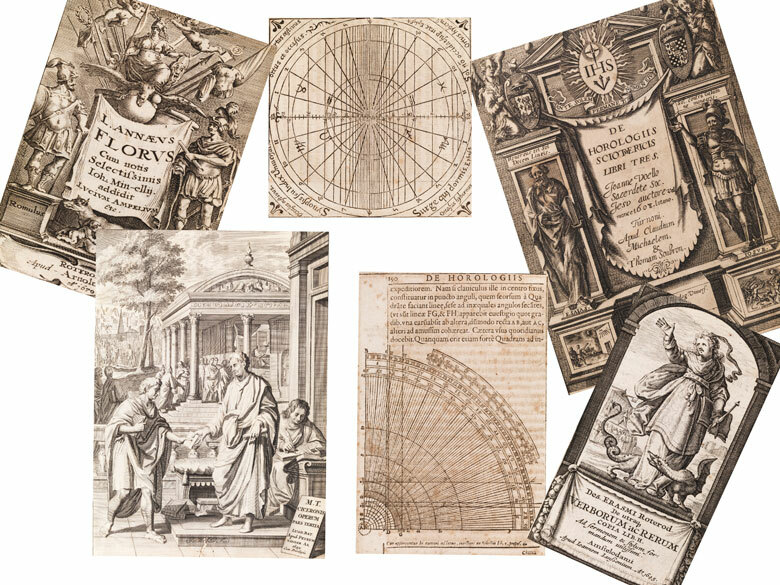 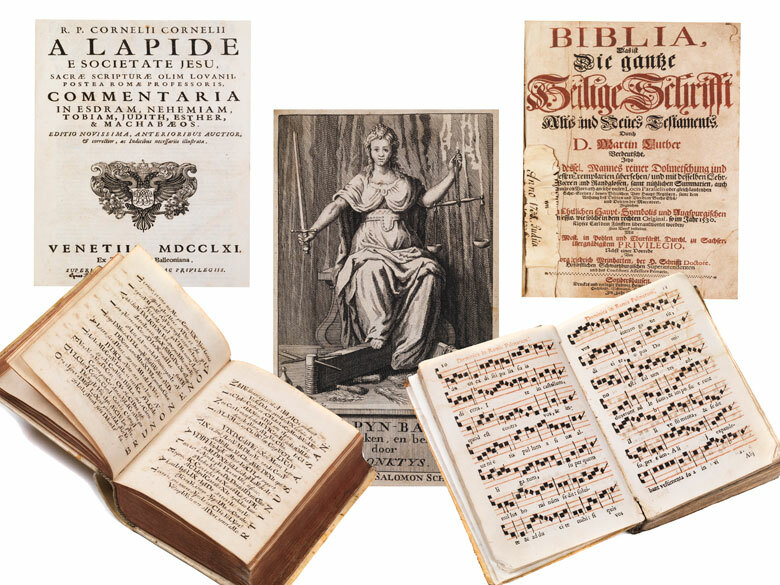 Apart from a large section of theological titles there are works of history, mythology, jurisprudence, philology, works by antique authors or humanists like Erasmus, biographies, a book on sundials etc. 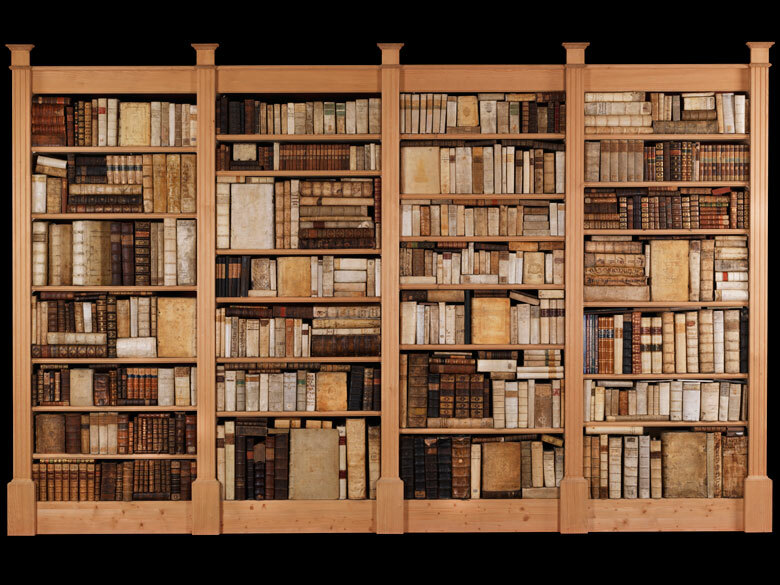 - Some volumes have stronger traces of use or age, not collated, some books certainly not complete or odd volumes of larger series.